Taras Kuzio is a Research Associate, Centre for Political and Regional Studies, Canadian Institute of Ukrainian Studies, University of Alberta and Toronto and a Non-Resident Fellow, Center for Transatlantic Relations (CTR), School of Advanced International Studies (SAIS), Johns Hopkins University. Commissars into Oligarchs. A Contemporary History of Ukraine (University of Toronto Press forthcoming 2014) was written when he was a Visiting Fellow at the Slavic Research Center, Hokkaido University, Japan, and as a Visiting Fellow at CTR, SAIS, John Hopkins University, Washington DC. Previously he has been a Visiting Professor at the Institute for European, Russian and Eurasian Studies at the Elliott School of International Affairs, George Washington University and a Senior Research Fellow in the Centre for Russian and East European Studies at the University of Birmingham. Taras Kuzio has been a political consultant to the American, Canadian and Japanese governments and legal and business consultant on legal and economic questions. 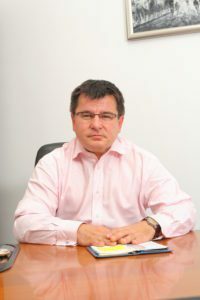 He is a member of the Editorial Advisory Board of Geopolitics, History, and International Relations and Demokratizatsiya and the author and editor of fourteen books, including Open Ukraine. Changing Course towards a European Future (2011), Democratic Revolution in Ukraine (2011), From Kuchmagate to Orange Revolution (2009) and Theoretical and Comparative Perspectives on Nationalism (2007). He is the author of five think tank monographs, including The Crimea: Europe’s Next Flashpoint? (2010) and EU and Ukraine: a turning point in 2004? (2003). He has published 25 book chapters and 75 scholarly articles on post-communist and Ukrainian politics and European studies. He has guest edited six special issues of Communist and Post-Communist Studies, Problems of Post-Communism, East European Politics and Society, Nationalities Papers and Journal of Communist Studies and Transition Politics. He has written articles on contemporary Ukrainian and post-communist politics, and foreign policy for media publications. Taras Kuzio received a BA in Economics from the University of Sussex, an MA in Soviet and Eastern European Studies from the University of London and a PhD in Political Science from the University Of Birmingham, England. He was a Post-doctoral Fellow at Yale University. 14 March 2014 – Dr. Kuzio gave an interview Ukrainian television on the crisis in Ukraine. 3 March 2014 – Dr. Kuzio speaks on Putin’s strategy in Crimea.